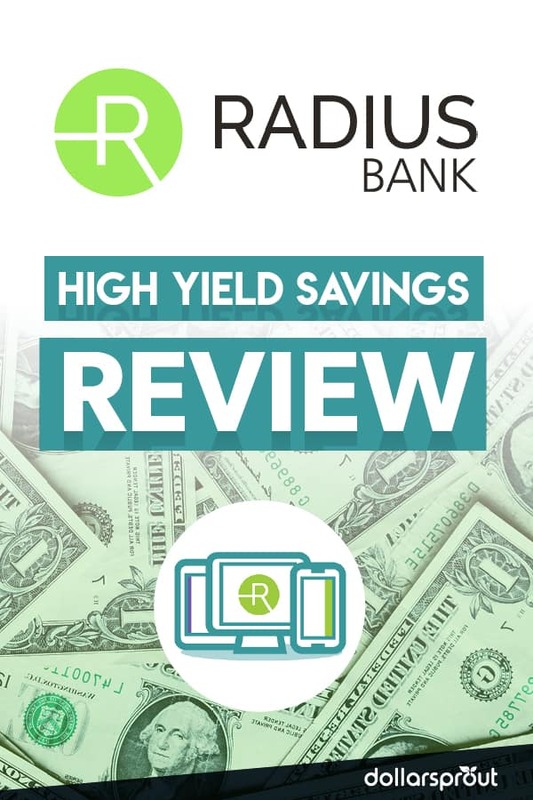 Radius Bank High Yield Savings Account Review: Is It Right for You? In this review of the Radius Bank high-yield savings account, we discuss the pros and cons of the account and whether it will be the right fit for your financial needs. Radius Bank is a full-service online bank that aims to meet all of your banking needs. Among the many services that the bank offers is a high-yield savings account. This account is designed for people with large account balances, offering elevated interest rates if you meet a minimum deposit requirement. Is the Radius Bank High-Yield Savings Account FDIC insured? Should I open a Radius Bank CD or Radius Bank High-Yield Savings Account? Is Radius Bank Right for You? The Bottom Line: The Radius Bank high-yield savings account is better than your average savings account, but falls short of other online banks. The $25,000 minimum balance to net the highest available rate is not easy to reach. If you want to use Radius as your main bank, their high-yield savings account is a good choice. But if you’re just looking for an online savings account, there are better options out there. 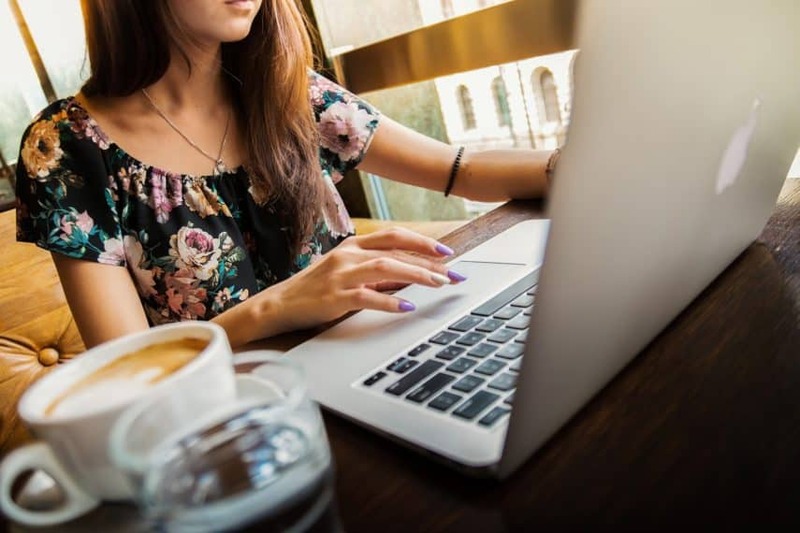 Online banks are known for their low fees and high interest rates, making them perfect for the money-conscious and those who want to build their savings over time. Radius Bank offers all of the banking services that you’d expect at a brick-and-mortar bank. After you open a high-yield savings account with Radius Bank, you can open a checking account, get a credit card, and apply for a loan. One major advantage of Radius Bank’s high-yield savings account is its fee structure. There is no monthly fee to keep the account open. The only requirement to open a high-yield savings account with Radius Bank is that you have $100 to deposit to the account. Once the account is open, you can allow your balance to fall below $100 without penalty. The Radius Bank high-yield savings account offers a higher rate of interest than brick-and-mortar banks, which makes it an appealing alternative if you’re looking to grow your savings. However, here is a small catch to be aware of. You’ll only earn the highest rate if you keep your account balance at $25,000 or more. If your balance falls below $25,000, you’ll earn less interest. While the lower rate is still decent, it’s much less than the rates offered by other online savings accounts. If your primary goal is to earn interest, you’ll want to make sure you have $25,000 to keep in the account. Otherwise, you should consider another bank. Savings accounts are designed for long-term savings rather than daily deposits and withdrawals. To that end, federal regulations limit savings account withdrawals to six per statement period. Each additional transfer will incur a fee. The good news is that certain types of withdrawals do not count toward this limit. While you can’t make an in-person withdrawal from an online bank, you can request a free ATM card. You can then use the card to make withdrawals from your Radius Bank high-yield savings account at any ATM in the country. ATM withdrawals don’t count towards the six withdrawal limit, making it easy for you to access your money without paying fees. If you’re thinking about opening a high-yield savings account with Radius Bank, here are some things that you should know first. Getting help from a brick-and-mortar bank is typically easy. You can call the customer service line or send a message to the bank’s support e-mail address. If you can’t get help remotely, you can always walk into your local branch and speak with someone face to face. When you meet with someone in person, it usually doesn’t take long to get your issues sorted out. Given that walking into a branch isn’t an option with an online bank, people are often concerned with the availability of customer service. Radius Bank makes it easy to get help when you need it, offering live online chat, e-mail, and phone support. You can even mail in a physical letter if that’s more your style. Phone and live chat support are available seven days a week. You can also get help by tweeting at the bank or messaging them on Facebook. Social media support is available from 8:30 AM to 8 PM EST on weekdays. Unlike some online banks that only offer one financial service, such as savings products, Radius Bank is a full-service online bank. Here are some common questions that people have about the Radius Bank’s high-yield savings account. One common concern that people have about online banks is whether or not they’re safe. With online fraud becoming so prevalent, it is an understandable concern. Radius Bank and most other online banks are perfectly safe to use. They use the latest in online security and encryption technology to protect your account information as well as passwords to prevent anyone else from accessing your account. Yes, the Radius Bank high-yield savings account is insured by the Federal Deposit Insurance Corporation (FDIC). FDIC insurance offers protection against the chance that a bank could go bankrupt or otherwise be unable to return the money that you deposit. If you deposit money to your Radius Bank high-yield savings account and the bank is later unable to give your money back, the FDIC will reimburse you for the losses (up to the $250,000 insurance limit). CDs, like savings accounts, are designed for long-term savings. 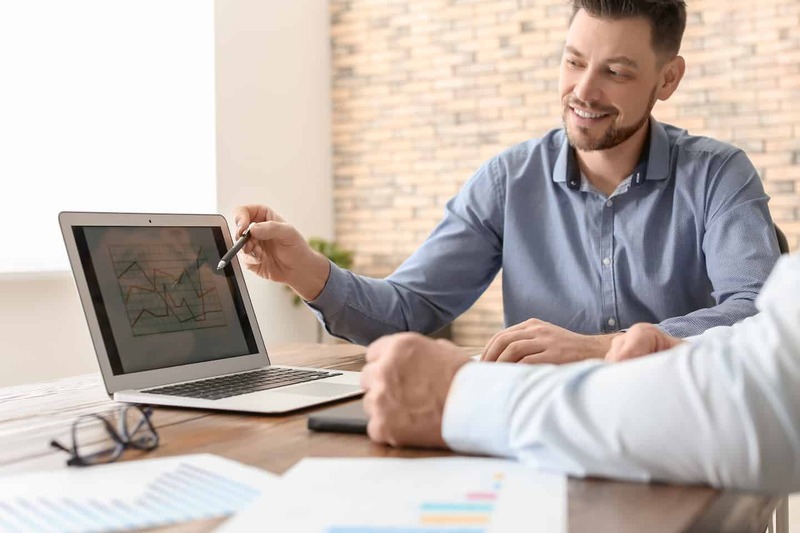 The idea behind CDs is that you commit to keeping your money in the account for a set period of time and receive a higher rate of interest in return. With Radius Bank, you’ll need to commit to at least a one-year CD in order to earn a higher rate than you would from a savings account. If you’re able to meet the $25,000 minimum balance to get the highest savings rate available, you’d need to commit to a five-year CD. In that case, unless you’re saving for a specific goal that’s five or more years in the future, opening a Radius Bank high-yield savings account is probably the best choice. In the end, the Radius Bank high-yield savings account is a perfectly serviceable account if you’re looking to move your banking online and like the services that Radius Bank offers. If you’re looking for the highest interest rate on the market, or just want to get an online savings account and keep your other accounts at your current bank, it’s not the best choice. The $25,000 balance requirement to earn the highest possible rate keeps it from competing with other online savings accounts. 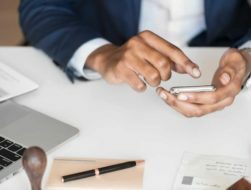 Digital banking — using either mobile or computer-based methods — is the preferred method of two-thirds of Americans these days. 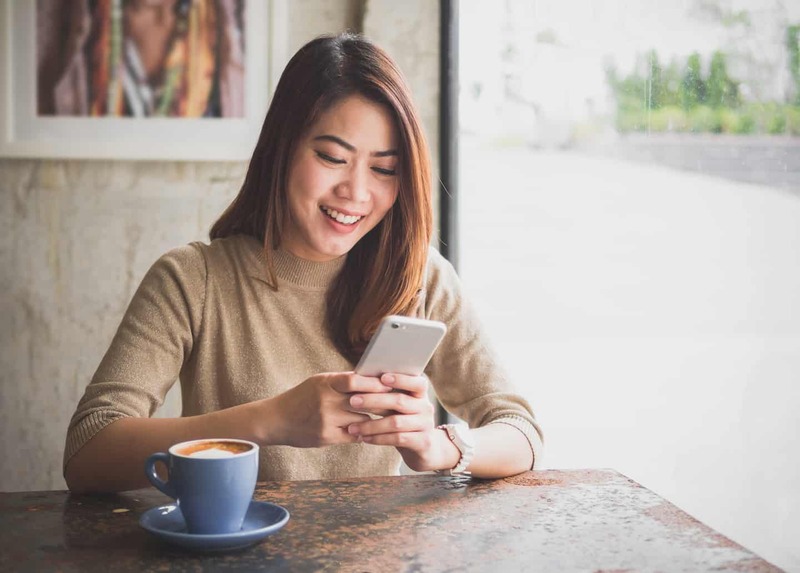 Online banking is designed to make your life simpler, but there still are a few things to know before you dive in headfirst. Digit Review: Should You Trust This App with Your Money?